The reopening of Magnolia Elementary School is still more than a year away, but there’s much to be done in the meantime to have the building ready for students come the fall of 2019. One of the key pieces, however, is in place. 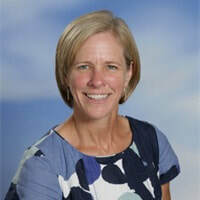 In April, the district announced the selection of Queen Anne Elementary head teacher Katie Cryan Leary as the school’s first principal. She’s no stranger to the process of bringing a new school to life, as one of Queen Anne’s founding teacher and parents. Leary has spent nearly a quarter-century in public education, starting as an elementary and later middle school teacher in Mountlake Terrace, before coming to Seattle to serve as assistant principal at what was then Hamilton Middle School. She spent one year as interim principal at Roxhill Elementary in West Seattle, and returned to Hamilton for two years in the head role. After taking a year off with her son nearing school age, she sat down with David Elliott, which eventually led to her joining the initial staff at Queen Anne Elementary. “We dreamed at the beginning about being a school that not only had kids academically thriving, but really were contributing citizens in the world, that would really be connected and collaborative and compassionate,” she said. This past year was her eighth — and last — at the school. When the initial community meetings were held 18 months ago regarding Magnolia Elementary, Leary was interested. “I was really drawn to the work of the five school communities, adding a sixth, [and] having a conversation about what that looked like,” she said. As she takes the helm of that sixth school, Leary acknowledges that there is some understandable uncertainty in the community as the district determines what students will attend the school when it opens. “I’m confident that people will feel connected over time when they’re there, but we’re still disrupting communities,” she said. Two community meetings are scheduled for the fall before final recommendations are made to the school board regarding the redrawn attendance boundaries, while grandfathering decisions for students at other area schools will also be made by year’s end. That’s when Leary can start working with some more tangible aspects of the job. “As soon as we know where the boundaries are, i’ll be working to put together a design team with parents that we know are coming, teachers that are interested in coming, community members that want to have input on what that looks like, and then, really dreaming of what do we want the school to look like,” she said. To that end, the new principal is determined to make that process open to all. Also on the docket for Leary is finding a teaching staff to carry out that vision. Her time in the classroom and role as a leader in several different schools will inform that search. “I’m really aware of how important the teachers role it is, and also how important it is that teachers’ pedagogy and philosophy aligns with the vision of the school, and so its a huge privilege as a principal to be able to hire staff to come in and say, ‘Hey, this is the job today,’ and its a pretty unique opportunity,” she said. For more information about Magnolia Elementary School, and the boundary process, visit www.seattleschools.org/departments/enrollment_planning/growth_boundaries/2019-20_boundary_changes/magnolia_elementary_boundaries/. To comment on this story, write to QAMagNews@nwlink.com.